How do you like the 235's? I couldn't stand them on the gt4, although the superstrut over exaggerates every grain of sand it seems. I'm in love so far. Every bump seems a little smoother. My ride quality is much nicer. They help my wheel package fill the wheel wells better and I just love the extra meat (I'm coming from 215/40). These specific ones (Goodyear Eagle F1 Asymmetric) handle really well - I already took her on a windy trip. The wheels are ET35 and I'm not running spacers - all I had to do was bend back the bolt tabs on the front fender a bit and no more scraping. Not sure, I'm running OEM struts with s tech springs. with the 235's is rode pretty bad, now with a 215 and a meatier side wall it is night and day difference. Glad to see they worked out so well for your setup! Celica: The name is derived from the Spanish word for "heavenly" or "celestial". Did you install the GT proportioning valve? Way to go. You did it right! Yep, I used an awful lot of fluid to get all the air out of mine too. What's your wheel width? I'm at 8" and 215/40 was stretched to hell and back. My ride quality was terrible with those - every bump was a shock. I could've likely gotten away with 225/45 and been fine, but the 235s are just what the doctor ordered. I heard somewhere that your tire width should be around an inch wider than wheel width for proper fitment. 225/45/17 is what I'm currently on. with a 17x8 wheel, I've also read similar things stating that for ride quality purposes its deemed nice to have a wider tire than wheel. I'm also a firm believer in tires being the biggest factor in ride quality apart from the actual size. Oh definitely. It's like shoes being the biggest factor in foot pain or mattresses for back pain. I'll never understand seeking out the minimum price for tires - so important. The tires are the only thing keeping your car stuck to the road, why people go cheap is beyond me. Now there's a difference in being cheap and being a wise shopper, you don't have to go out and buy a $300 per tire Michelin Primacy to get a great tire but at the same time the $50 per tire Douglas at Wal-Mart probably isn't it. Anyhow, great job on the brake conversion. Currently waiting on some time to free up so I can replace my wheel bearings, outer tie rods, and ball joints. I'm going to get the rear bearings ready since I have a spare set of rear spindles. Does anyone have any tips to pop out that dented lip for the spindle nut? It looks pretty beefy... might have to go at it with a punch. Thinking about a year in the future about my next set of wheels. My knock-off of knock-off wheels have served me well, but I'm tired of the flat face and they're too heavy (23lb/ea). I've got three wheels in mind. There's the 17x8 ET35 RPF1 (16.1lb/ea), no pics necessary. And two wheels I've recently come across. These JR wheels are two of the very few 5x100 wheels with some degree of concavity I've come across and they're pretty damn light to boot! The JR-12 wheel looks very track-oriented and is the lighter of the two, while the JR-3 wheel has that TE37 look I've always been in love with. Definitely like the look of these more than the RPF1, but that obscene lightweight build is hard to forget about. I've got a while to sleep on this. What do you all think? I really love the te37 so I like the Jr 3 et35's I may get some of those if I don't convert my hubs. Nice ride by the way, any wheels will look great! Of the two above I think I like the JR-3 more. Thanks! Those wheels are drilled for 5x114.3 as well, but you're going to have such a crazier selection if you convert your hubs. Huh, I pulled that weight straight from Enkei. 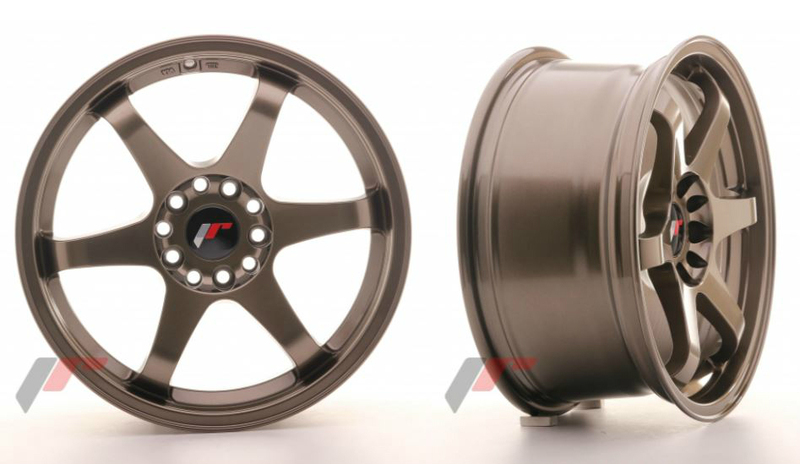 Enkei has the 17x8 PF01 at 18.2lb. Maybe it's old data? But if the RPF1 is actually 15.5lb... that's even more tempting. That'd make my wheel package (w/o tire) go from 92lb to 62lb. That's a massive unsprung weight reduction!!! The PF01 is gorgeous, but it's almost exactly what I've got right now - just lighter. I'd like a new look if I'm gonna splurge on wheels. I didn't pass emissions yesteryday... 220ppm HC reading at idle and I need to be below 180ppm. Running lean I guess, because I'm at 102/180 from the 2500rpm test. Found out my idle was low at the station though (710rpm), so I'm gonna adjust the idle up to 800rpm in an attempt to pass, then I'll kick it back down to 750 (Toyota spec). Once I have my PASS, I'll have time to actually hunt down the issue. All my vac lines seemed fine yesterday, so I'll try cleaning the throttle body and IAC valve next. 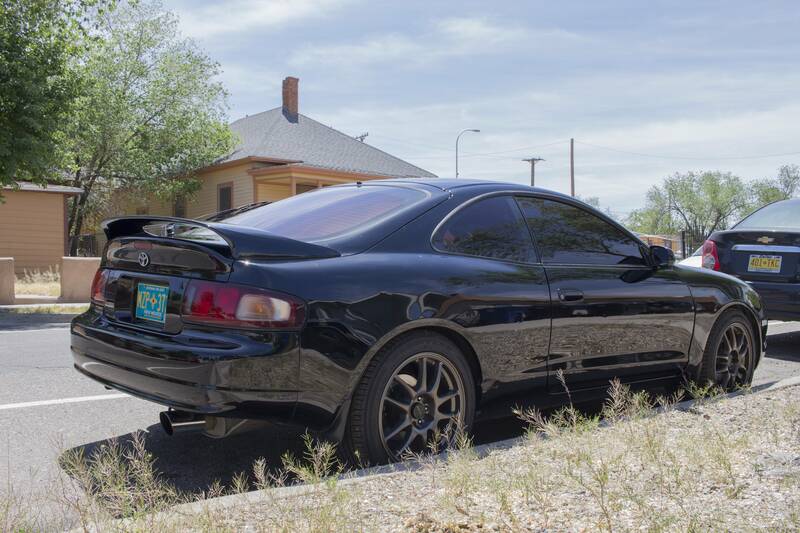 Feeling the procrastination pretty hard today, so I decided to wash the Celica. It's been intermittently rainy here in the desert, so that means dusty water spots for the past 2 weeks. Wheels are 17x8 ET35 and I don't use spacers. They looked pretty good when I first got them, but I really think the magic is in the tires. I'm running 235/45 and they really fill up the wheel well (I had 215/40 earlier and they looked badly stretched). Fronts are pretty flush and I think a 10mm spacer for the rear would make it perfect. Hell, no spacer in the rear and I rub the fender sometimes (gotta get them rolled). Wow, it's been almost a year since I've updated anything. Haven't done too much since the GT brakes, honestly. Back in October I installed poly bushings in the front, along with new ball joints, outer tie rods and wheel bearings at all four corners. I definitely noticed a sturdier and straight front end, but with all the things I replaced, who knows. In February, I replaced my driver side window motor and track (second time it has gone out, first was in 2012). A few weeks ago, I replaced all four motor mounts. Definitely noticed a smoother idle and engine response. I mainly replaced them due to some bad shuddering I was getting when launching normally from first gear. For the record, the driver side mount for the AT200 (PN: 12372-16330) is DISCONTINUED by Toyota. You'll have to go aftermarket or hope you find a new or gently used OEM one on eBay. Two days ago, I replaced my Fujita F5 air filter with an AEM model. I noticed some small holes in the Fujita filter! It has been almost 7 years with that filter (don't worry, I cleaned it...). 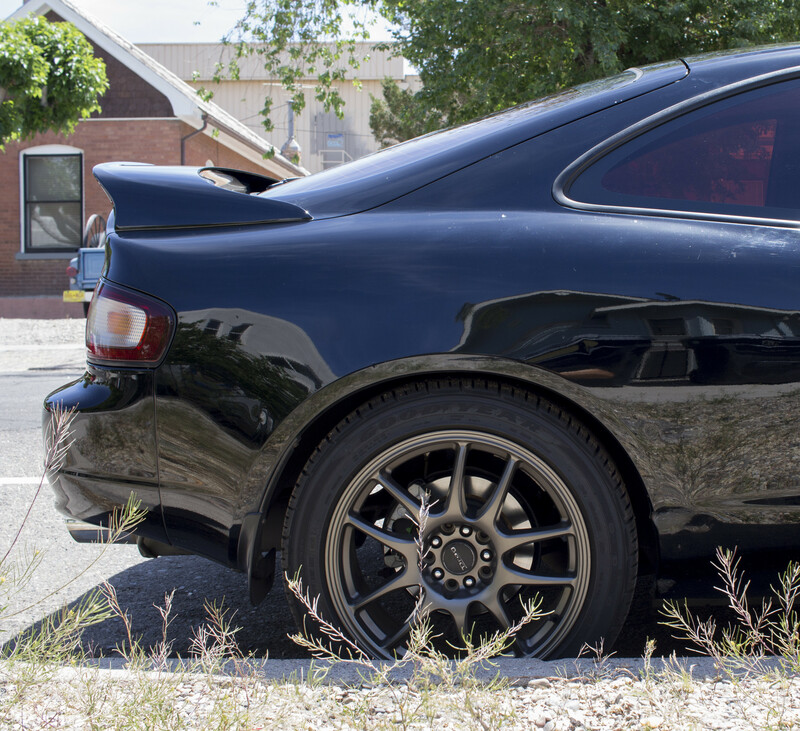 By July or so, I'm looking at finally buying the one part I've been pining for since 2010: coilovers! No more miniscule college student income, so it is time. I'm going with KSport Kontrol Pros. I'll also be doing extended studs at all 4 corners so I can use a set of spacers. I'll be getting wheels too, but not until later in the year. 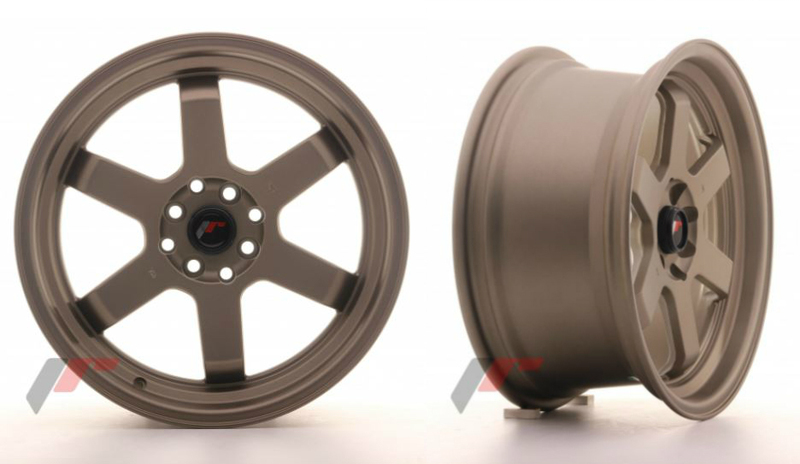 I've decided on the Japan Racing JR-3 wheel because they have an option for custom PCD (no more 10-hole universal look) and custom offset from +20 to +27 (going with +25). Small range, but for a 17x8 wheel, it'll be perfect. Nice fitment with minimal spacers. I'm excited! Things are comin' up Milhouse! Those ISC coilover covers you recommended, yay!! I'll also be installing poly bushings in the rear while I'm under there.